Is 2019 YOUR year? Sign up to Sell Avon if you ready to become your own boss? Or do you just need some extra money to supplement for those things you want? Sign up to Sell Avon Online now in three easy steps. You will then get your Account Number and have access to your online Avon Representative account and your new Avon Representative eStore. 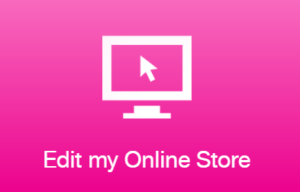 Personalize your E-Store – Once you sign up as an Avon Representative, Avon automatically sets up your e-store but you can go in and personalize it to make it more your own brand. Be sure to add your picture so that your friends and family know it’s you and your contact information so everyone can contact you for questions. For more information on what and how to personalize your e-store, check out http://www.makeupmarketingtips.com/training/. Be sure to check out all the great social media content on Avon Social and join the social media platforms to further build your business. Avon U – You will find Avon U on your Avon Website and it is full of great information about everything you need to know about building your Avon business. You will earn badges as you complete the achievements they offer. This is a great way to get answers for all those questions you have and to help you succeed. Talk to friends and family – Tell everyone you know that you have started your own Avon business and ask them for referrals. Family and friends are the first places most people go, but don’t forget about the ladies at the bank, grocery store, doctors office etc. Tell them they can go to your e-store now and you will be bringing them books by later.